Capitalist development has undergone – and inflicted – violent historical dislocations in the past. So it is with digital capitalism today. 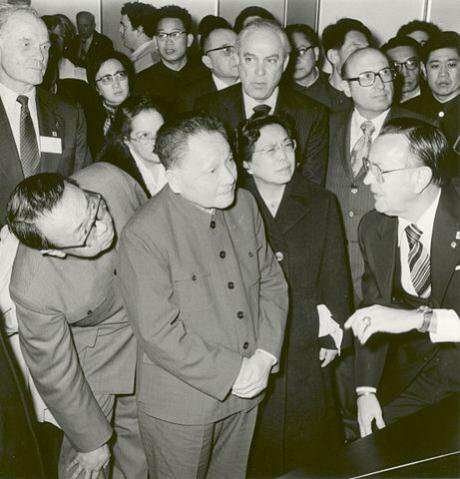 Visit of Deng Xiaoping to Johnson Space Centre, 1979. - Great Images in NASA. Public Domain via Wikicommons. Some rights reserved.The International Monetary Fund warned last week that, nearly eight years after the global financial crisis, still-sluggish economic growth might combine with a new financial shock to tip the world back into recession. Meanwhile, however, investment in information and communications technologies – long venerated as a growth dynamo – remains high. How may we clarify this apparent contradiction? The concept of “digital capitalism” may help. Great changes are ramifying around digital networks; at the same time, abiding political economic processes carry forward. I developed the idea of digital capitalism for this reason: a phase-change is occurring within capitalism. Unevenly, across many decades, the industrial revolution gripped not only manufacturing but also agriculture, trade and, indeed, information. Aileen Fyfe captures this change in characterizing nineteenth-century British publishing as “steam-powered knowledge.” Similarly, the applications of digital networks today stretch beyond a discrete information sector. 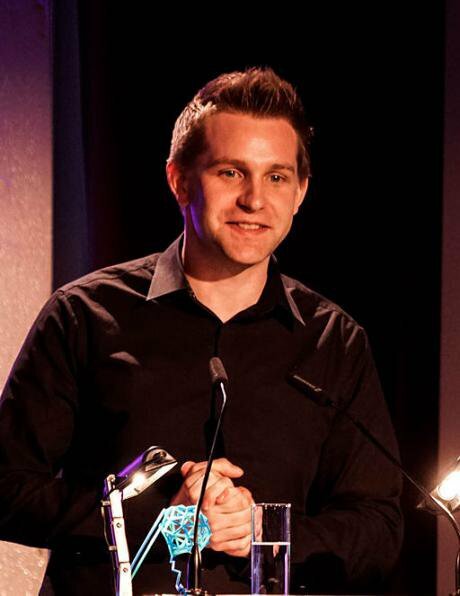 Digital systems and services have been bolted to all parts of the political economy. A second point pertains to the chronology and character of capital investment in what the Census Bureau now enumerates under the category of “Information Processing Equipment and Software.” US capital investment in networks of course began to escalate long ago – well before the postwar period favored by most conceptions of the information society, and well before the arrival of microelectronics. Private line telegraphs – lines entirely dedicated to traffic sent and received by a single business user, which leased them from a carrier on a monthly basis – saw widening use, especially by large banks, meat packers, and by the Standard Oil Company, between the 1880s and the 1910s. So-called “industrial radio services” thereupon proceeded to apply new wireless technology to the operations of railroads, power transmission systems, department store chains, airplane operating companies and newspapers. By 1947, for example, US oil companies, had built 500 radio stations and obtained licenses to 49 radio frequencies in their search for oil deposits; they began to use microwave radio in order to send data produced by their new offshore drilling rigs to geologists and engineers located at their headquarters by the 1950s. The political scientist Murray Edelman and the economist Dallas Smythe sought to place these neglected network services on the academic agenda during the 1950s. Sectoral variation was, and remains, considerable. Forestry, fishing and agricultural services account for a small portion of the 2013 US total ($153 million in 2013). Manufacturing claims a much larger share ($37 billion). Professional, scientific and technical services also are very considerable ($30 billion in 2013). The second-top category is finance and insurance ($60 billion). The largest spender is the information industry itself, inclusive of everything from publishing to computer services: its collective outlay has spiraled to $86 billion. By the early 2000s, financial intermediaries had been spearheading the development of digital systems and services for decades. The largest US financial companies – such as JP Morgan Chase – spent billions of dollars each year on ICTs, and boasted IT and software staffs numbering in the thousands. This titanic build-up of networked finance occurred as banks pushed debt on every institution and packaged it in a staggering variety of instruments. Banks institutionalized fee-based products, own-account trades, and off-the-books investment vehicles, even as they also continually increased their own leverage – and, with it, risk. This opaque, complex, and rickety system crashed, when some US residential mortgage holders ceased to make payments. Leverage – debt – was the fuel that stoked this fire, and networked finance had spread debt literally everywhere. In the aftermath of the crisis, menacingly, networked finance and the volatility that accompanies it have carried forward. networked finance had spread debt literally everywhere. In the aftermath of the crisis, menacingly, networked finance and the volatility that accompanies it have carried forward. That networks were bearers of crisis again became apparent as the crisis cascaded into the wider economy. Manufacturers had deployed digital networks to automate and to outsource production tasks; and to disperse their operations in order to improve market access and/or to cheapen the cost of labor. This great buildup of manufacturing networks provided no guarantee of corporate profitability. GM spent tens of billions of dollars on ICTs between 1970 and 2007, but after the crisis erupted, the biggest US automaker still had to be rescued by the US Government. The underlying problem was that manufacturers’ networks had been folded into another sweeping crisis tendency as international competition engendered overcapacity – that is, more plants and factories than were needed to supply the global market. And again, the underlying problem of overcapacity has not abated. The big carmakers stampeded into China, and have come to depend on Chinese buyers for around one-third of their global sales. As China’s economy has slowed during the year just past, however, they have now also turned to reduced capacity at their dozens of joint-venture Chinese plants. A fourth and final point: for decades – again, beginning well before the Internet’s take-up - political leaders recognized that the US information industry was a spectacular pole of growth within the capitalist world economy. Heads of state made a point of paying homage to leading US tech executives. Notably, China’s Deng Xiaoping in 1979, Jiang Zemin in 1993, and Hu Jintao in 2006 each made high-profile visits to US tech companies. France’s Jacques Chirac led a presidential entourage to Silicon Valley in 1996 and, nearly twenty years on, Brazil’s Dilma Rousseff and India’s Narendra Modi followed suit. How has the US worked its digital magic? Can it be replicated? Failing that, as the McKinsey consultancy puts it, “How should you tap into Silicon Valley?” Because it is patent that these questions command the attention of governments, I turn next to consider digital capitalism’s political dimension. In 2010, overall US expenditures on ICTs exceeded those of the China, Japan, the UK and Russia combined. The US accounted for more than half of global ICT research and development spending. The payoff was enormous. A report to the US Council on Foreign Relations underlined in 2013 that “The United States captures more than 30 percent of global Internet revenues and more than 40 percent of net income.” US companies have claimed, and kept, a commanding lead over nearly all global Internet markets. Political mobilization has been essential in this success – or, if you prefer, this lopsided disparity. US companies have claimed, and kept, a commanding lead over nearly all global Internet markets. Political mobilization has been essential in this success – or, if you prefer, this lopsided disparity. By the mid-1960s, business users of networks had been lobbying the US Federal Communications Commission for years, using its piecemeal proceedings to demand improved access to specialized new networking equipment and services. In 1967, the Democratic Administration of US President Lyndon Baines Johnson convened a government Task Force on Communications to assess whether a comprehensive policy shift was needed, to accommodate the changes that were roiling through both telecommunications technology and business demand for network systems. Should market entry be opened – “liberalized” - within the emerging zones of data-network functionality? Could liberalization be connected, somehow, to the President’s Great Society programs? After months of deliberation, midway through 1969 the new Administration reached its own decisions about networking policy; and in their way these were as momentous as incoming President Nixon’s concurrent decision to seek a rapprochement with China. Breaking with ingrained Republican habits of deference to AT&T, the Executive Branch began to rip out the public service moorings that had anchored US networking policy – and protected the giant carrier – for decades. Beginning at the edges of the existing system, with satellites and cable television, high officials in the Nixon White House coordinated the politics of a systematic liberalization campaign with Nixon’s FCC Chairman, the powerful right-winger Dean Burch. They belatedly released the Task Force Report, but stripped out its limited social welfare proposals. 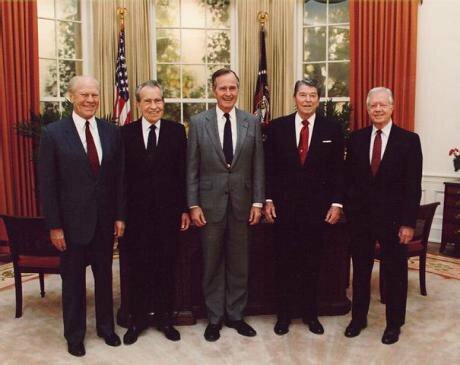 US Presidents Ford, NIxon, Bush, Reagan, Carter,1991.Wikicommons. Public domain.Some righrs reserved.An antitrust case against AT&T was prepared during the Nixon years, brought to court by the US Justice Department under Republican Gerald Ford, and settled by the break-up of the world’s largest company under Republican Ronald Reagan. I am not suggesting that liberalization may be credited to Republicans, but only to point out that they were equal partners in this enterprise. Backed by a strengthening lobby of business user trade groups and independent suppliers, the liberalization trend was sustained by a bipartisan political coalition. Backed by a strengthening lobby of business user trade groups and independent suppliers, the liberalization trend was sustained by a bipartisan political coalition. This was not a straight-line trend, and there was no master blueprint. As the world’s single largest national market, however, the US political commitment to network liberalization and the profit projects that rested on it radiated powerfully outward. During the 1980s and early 1990s, for example, the US Trade Representative pushed Brazil to relax its import-substitution policies for “informatics,” using newly augmented powers. The US State and Commerce Departments meanwhile battled against European initiatives to monitor and restrict corporate trans-border data flows. On another front, under Reagan and Thatcher, the US and Britain together mounted a successful attack on the Non-Aligned Movement’s drive for a New International Information Order – which had tried to insist that economic redistribution rather than profit maximization should drive policy. Stringent intellectual property laws to suppress some of the radical potential of networks, as Brian Winston might put it, became still another key objective of US economic diplomacy. Big business users, tech vendors, multilateral agencies, and the US Executive Branch labored in behalf of policies to widen the scope of digital profit projects worldwide. Their achievement was breathtaking. Between 1988, when Chile privatized its incumbent telecommunications operator, and 2005, more than 80 less developed countries underwent network privatization. Western Europe and Japan were on board. Additional market-opening policies became enshrined via the International Telecommunication Union in 1988, and through a 1997 WTO treaty, the Basic Telecommunications Agreement. Significant national variations persisted but, as business users and independent equipment suppliers gained political priority, foreign investment policies, interconnection rules, and policies governing use of networks all were relaxed. The Internet’s rise during the 1990s rested on these foundations; it, in turn, altered the center of gravity of networking. Monopoly national telecommunications systems operated by government ministries were supplanted – or at least overlaid - by decentralized “autonomous” systems operated and interconnected by transnational companies. systems operated by government ministries were supplanted – or at least overlaid - by decentralized “autonomous” systems operated and interconnected by transnational companies. At the same time (flouting the expectations of most leftists), network access began to expand beyond all precedent – far beyond the wealthy countries. FDI flowing into the less developed countries’ telecommunications systems increased tenfold during the decade after 1990. Though ravaging disparities did not disappear, networks drew more investment in poor-world countries—hundreds of billions of dollars—than any other industry. This expansion continued, as green-field projects replaced privatizations as the major growth nexus. This spectacular enlargement of network access may have dampened awareness that the Internet in fact does possess a loose political-economic control structure – certainly, there was a lot of talk during the 1990s about how the Internet “routes around control.” Throughout its formative years, the Internet had been managed by the US Department of Defense. During the 1980s and 1990s, this arrangement underwent a series of transitions. Working with the National Science Foundation and its networking contractors, IBM and MCI, universities extended Internet access to a larger share of academics but, in the late 1980s and early 1990s, corporate providers and corporate users pressed to alter these largely noncommercial arrangements. Privatization of the Internet followed. Concurrently, this network of networks exploded internationally. During the later 1990s, the US Government vested management of a now-global Internet in a nonprofit California corporation, ICANN. ICANN possessed responsibility for the Internet’s system of unique identifiers and participated in its technical development. VeriSign, a shadowy corporation headquartered in spook-ish Virginia, was accorded a crucial operational role; while ICANN itself was legally bound to report to the US Commerce Department. In practice, these arrangements conferred power on high-tech companies and corporate trademark owners and on the US Executive Branch. They are notable for downgrading the democratic remit of the US Federal Communications Commission, which ostensibly regulates civilian telecommunications. And they signified that US negotiators had succeeded in getting the international community to acquiesce in a US-centric extraterritorial Internet. From the outset, there was disagreement; but the US prevailed. This, after all, was the “unipolar” moment that followed the collapse of the Soviet Union and the restoration of capitalism in China. An unabashed triumphalism set in. Hailed for disrupting industries, the Internet’s overriding function - evident only at greater scale – was to deepen and modernize capitalism. After the puncturing of the Internet bubble between 1999-2001, this project resumed. Neither the capitalist political economy nor the Internet that now operated as one of its growth poles was stable. After a financial panic, a deep global economic slump set in during 2008. This engendered persistent stagnation, and rising geopolitical-economic conflict, and signaled the start of an era of open-ended uncertainty. US negotiators had succeeded in getting the international community to acquiesce in a US-centric extraterritorial Internet. Statistics compiled by the US Census Bureau show that, even as stagnation set in, the process of digitization was sustained. In 2007, on the verge of the financial crisis, US capital expenditures on information processing equipment and software totaled $264 billion; in 2013, they came to $331 billion. This is a nominal increase of around 25 percent, spread over an interval in which inflation increased by around 15 percent. Even amid the worst slump since the 1930s, the dynamism of information systems and services is unmistakable. Global submarine network construction provides a leading example: the 65 Terabits per second of new capacity added worldwide in 2014 equates to almost the entire amount of bandwidth in service in 2011. And the costs of Internet transit have dropped over the last four years (2012 to 2015) by a global average of 14% annually. The first new cables to be laid for twelve years in the high-traffic trans-Atlantic market are about to come online. I have underlined that the scale and scope of digitization give it a strategic importance for virtually every industry. The seemingly boundless elasticity of digital technology likewise enables it to participate in innumerable commodification projects. The information industry is the largest sectoral contributor to ICT investment because it is leading the recomposition of the overall political economy, that is, because it is spearheading a wide range of commodification projects. the US prevailed. This, after all, was the “unipolar” moment that followed the collapse of the Soviet Union and the restoration of capitalism in China. The most visible expression of this trend has been rapidly deepening commercialization of cultural interaction and personal life, via search engines, social networks, e-commerce, smartphones – and omnipresent surveillance. However, huge R&D spending and back-end investments in data centers, Internet exchange facilities and, in the case of content providers such as Google, trans-oceanic as well as metropolitan fiber optic cable networks, have granted to big purveyors of consumer Internet services an impressive capacity for diversification. Amazon has seized the lead in marketing specialized cloud computing services to industrial and governmental users. Facebook is rolling out a private variant of its service – Facebook at Work - to challenge enterprise software companies by winning revenues from corporate subscriptions rather than advertising. Professional services like accounting are being beset by digital interlopers; as are banks and other financial intermediaries. Driverless – that is, software-intensive - cars under development at Google and Apple have already forced the world’s automakers onto defense. Sensors, IP addresses, and technical standards to enable machine-to-machine interoperability, are helping the tech giants to scale the walls of other existing industries, as they attempt to synthesize what GE, IBM, and Cisco call “the industrial Internet.” So-called smart cities and online education constitute still other vectors of commodification. Today’s commodification initiatives are aimed at both new and existing areas of practice, and use digital media not only to encroach on once-remote industries but also to claw nonmarket institutions – universities, museums, and government agencies – into the for-profit sector. We are nowhere near the end of the line, as far as capital is concerned. Digital capitalism therefore remains a work-in-progress. Though US Internet companies are in the forefront of this global movement, it should not be reduced merely to a US power projection: the rapidly expanding scope of digitization means that profit projects also are opening for companies based elsewhere. Units of capital based in Europe, Japan, India, Korea and other countries are actively participating – or hoping to do so soon. Early in 2015, notably, six of the 20 most valuable Internet companies were reportedly domiciled in China; and China also is home-base for the world’s most valuable carrier, China Mobile, and a globally ascendant equipment vendor, Huawei. The Financial Times sums it up well: “Talk of protectionism once meant bemoaning barriers being erected in far-off lands for offcuts of beef or steel rods, but in Washington these days the protectionism fears have gone digital.” The Obama Administration offers staunch support to US capital’s digital expansionism, for example, by trying to quell or to contain European Union attempts to restrict it. President Obama himself cast this imperative in sharp terms: “We have owned the internet. Our companies have created it, expanded it, perfected it. [European companies] who you know, can’t compete with ours, are essentially trying to set up some roadblocks.” “We have owned the internet. Our companies have created it, expanded it, perfected it. [European companies] who you know, can’t compete with ours, are essentially trying to set up some roadblocks.” In response, the EU publicly denies that a redesign of its regulatory framework will discriminate against US providers. However, simply by forcing the US Internet giants onto defense, both its antitrust investigations and its potentially encompassing “digital platforms” inquiry open space for European capital. German interests in particular – both media companies led by Springer and manufacturers and engineering companies such as Bosch – are keen to exploit it. In their turn, Google, Facebook and the rest have expanded their lobbying in Brussels. Geopolitical-economic fights over digitization are also proliferating beyond Europe. Google is being accused of abusing its dominance in online search by India’s Competition Commission. Russian antitrust authorities have ruled that Google broke that country’s competition rules. Arguably the most significant conflict pits the US against a primary economic partner: China. An influential segment of elite US opinion about China has recently begun to harden, and economic issues pertaining to the tech industry are high on its list of concerns. China-based cyber-espionage and corporate hacking have been accorded the greatest publicity. US officials, however, also are alarmed that China’s domestic regulations for digital systems and applications “are about protectionism and favoring Chinese companies,” as the US Trade Representative declared this year. In a contrast with Europe’s defensive efforts, at least thus far, Chinese policies aimed “at keeping US businesses out” have succeeded at reserving big chunks of the Chinese Internet market for a handful of locally headquartered conglomerates. Conflict over this issue permeated Chinese President Xi Jinping’s recent state visit to the US. President Obama set the stage for Xi’s arrival by declaring to the Business Roundtable, a top business lobby, that his Administration was preparing tough measures to counter Chinese cyber-commercial espionage. Again, however, the US’s economic agenda with China prominently included a demand to improve market access for US companies. As former US Treasury Secretary Hank Paulson phrased it: “Is China looking to open things up just for the private sector in China, or is it for multinationals as well?” US Internet companies in particular want to make inroads into China’s huge and still rapidly developing digital markets, before it is mostly locked up by Chinese Internet companies led by Baidu, Alibaba and Tencent. Xi thus arrived in the US possessed of leverage that had been unavailable to his predecessors. To the consternation of US officials, Xi began his visit by organizing a technology forum in Seattle to demonstrate what the New York Times called China’s “sway over the American tech industry.” Joined by leaders of top Chinese Internet companies, executives from Apple, Cisco, Amazon, Microsoft, IBM, Facebook, QualComm, Intel, LinkedIn, AirBnB and Sequoia Capital posed for a photo flanked around Xi Jinping. Geopolitical-economic conflicts over digitization are not confined to bilateral relationships, but also exhibit a vital multilateral dimension. Allied with dozens of other countries, China has helped propel a political campaign to pull the Internet’s control structure out of its US-centric orbit. The US of course is determined to resist such an outcome. As they entered into this geopolitical-economic contest, Edward Snowden’s globally publicized disclosures cut ground out from under the US. As they entered into this geopolitical-economic contest, Edward Snowden’s globally publicized disclosures cut ground out from under the US. So it is with respect to digital capitalism today, as we find ourselves living amid the shocks of network-enabled commodification. For most of the world’s people, whether profitable growth may be renewed, and by whom, actually are inconsequential questions. The life-and-death issues are different. The planetary ecological emergency is one, as digital capitalism continues to exalt growth rather than stewardship. Another is that digital capitalism is ripping the thin fabric of democracy, even where a semblance of it exists - as governments expand repressive practices, and corporations stake claims to profit out of public goods and institute 24/7 surveillance of workers and customers. A third is that a new wave of digitized automation threatens to turn an unprecedented number of jobs themselves into luxuries. Social actors apart from states and corporations are likely to respond to these attacks by renewing demands for a society beyond capital. Nothing else is likely to suffice.